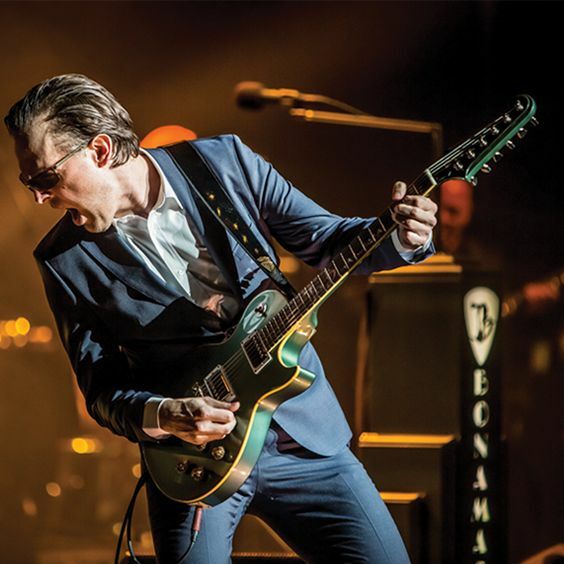 TWO TIME GRAMMY-nominated blues-rock guitar icon Joe Bonamassa is celebrating his 5 year anniversary of his first time at Red Rocks with 2 special nights and 2 special set lists. Backed by a stellar band of iconic musicians including Late Night with David Letterman’s, Anton Fig (drums), Nashville recording legend Michael Rhodes (bass) and Rock & Roll Hall of Famer and member of Stevie Ray Vaughan and Double Trouble, Reese Wynans (piano/organ). Also featuring soulful back-up singers and a fantastic horn section to bring a whole new life to the show which will feature brand new songs alongside career-spanning favorites. Watch the music video for Bonamassa’s latest single “Redemption” here: https://youtu.be/wDe-dI3c5d0 . By exceeding his own vertiginously high artistic goals, Bonamassa has shattered all expectations with this record and has reached new audiences – no mean feat when you continue his astonishing track record of releases, which now includes 21 #1 Billboard Blues Albums (more than any other artist in history). Bonamassa’s career in the music industry has built steadily over the years and is only gaining more momentum.